Aero 2019 was held again at Messe Friedrichshafen on the northern banks of Lake Constance in central Europe. The exhibition delivers a consistently pleasing balance of trade fair, camaraderie, progress, esprit de corps, solidarity, and fine cuisine. It lacks the enormity, nay listless spectators and petulant weather, of comparable shows in the U.S.; and that’s just fine with the vendors and punters it’s intended to draw. Europeans categorically think of General Aviation (GA) as those aircraft not used in scheduled or chartered air traffic, essentially characterizing them as “sport” aircraft with the occasional appendage of “utility.” Much of what might be characterized as purpose-built aircraft in the U.S. are simply folded into sport aviation in Europe, and this is particularly evident at Aero. Style is pervasive, flair dominates, and a strong sense of nationalism and personality distinguish one European offering from another. Take for example the Blackshape Gabriél. This aircraft is an outgrowth the company’s Blackshape Prime, popular for sport flying. Co-branded with Transavia, Gabriél is a prime example of the crossover between sport and utility as its intended role is training for the airline. Stylish Italian design teamed with Transavia, an Air France/KLM subsidiary, to promote the Gabriél as a flight training platform. Ultralight aviation also characterizes a large part of GA in Europe where it maintains a distinctly different certification class from the U.S. Aero is dominated by light aircraft. However, at this show this distinction may refer to multiple certification standards, including Ultralight (UL), Very Light Aircraft (VLA), the U.S. standard Light-Sport Aircraft (LSA), and a large number of small EASA CS-23 / FAR Part 23 certified aircraft. Examples include the Blackwing Shark from Sweden,“a type of airplane that flies safe and efficient,” and the Fly Synthesis Syncro LSA and UL from Italy. General aviation in Europe also flourishes at the intersection of speed and style. More examples at Aero included the Tomark Viper SD4 all metal two seater from Slovak Republic, and the colorful Belmont Patino from Latvia. 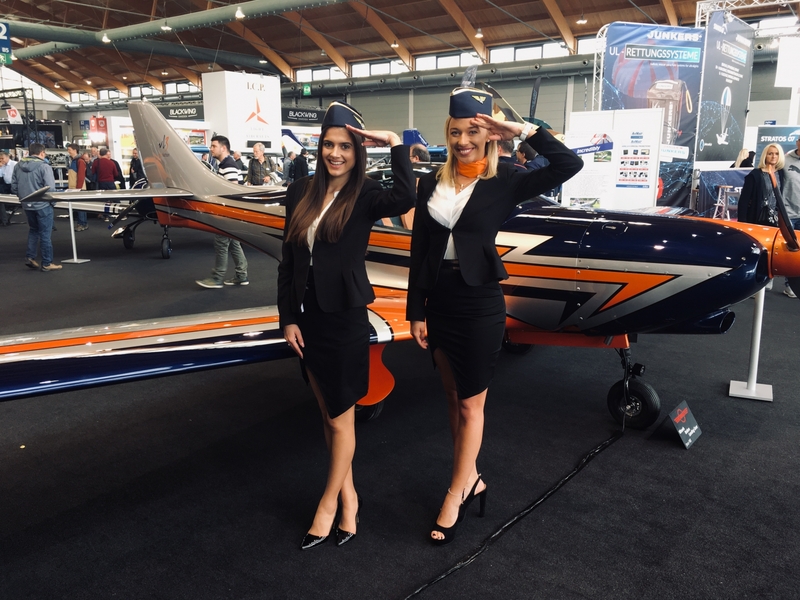 AERO Friedrichshafen is “Europe’s largest exhibition for general aviation, and with regard to innovations and premieres, it’s the industry’s foremost exhibition in the world,” said Messe Friedrichshafen CEO, Klaus Wellmann. He speaks the truth with respect to sheer numbers of aircraft at an indoor exhibition, and in particular 1- to 2-place aircraft. The show makes its mark with a dose of European flair, for example, the TL 3000 Sirius by TL Ultralight and the VL-3 Evolution JMB Aircraft greeted visitors with beauty and style. While the most crowded areas at Aero, namely the corridors connecting Halls A3 through A6, were designated for general aviation services, equipment, engines, pilot supplies, and avionics (including Garmin, which is gaining a foothold in Europe) there were many other interesting areas to browse. Twelve large hangar halls at Messe Friedrichshafen are complemented by an outdoor static display area populated by pre-owned aircraft for sale, a small collection of military and historic aircraft, and the Europa-Park Zeppelin on the adjacent airfield. German military technology was on display at Aero. Inside were search-and-rescue and law enforcement helicopters. Outdoors was a German Luftwaffe Tornado. Europe loves its gliders, such as the L23 Super Blaník all-metal glider remake. In 2019 the “sailplanes” displays were moved to Hall A1 at main entrance. Junkers Flugzeugwerke from Dübendorf is one of the Swiss aircraft makers represented at the Aero. The company is currently building a second replica of the six-seater Junkers F13, an all-metal transport plane originally constructed in 1919. A recently completed F13 is flying under the Rimowa moniker. The company hopes to produce at least five units of this classic design from original blueprints. When old and new technology meet, the results are some interesting aircraft that seem to exist without any particular reference to time and place. Those at Aero include the Bücker Bü 133 Jungmeister Liesel Bach on display and the FK12 Comet tandem folding-wing biplane produced in Germany. Sustainable and e-flight (electronic flight) continue to be nascent technologies in the aviation world. However, a newly vinted and unusual-looking aircraft featured at AERO was the “flying wing” made by Horten Aircraft from Eisenach, Germany. Another notable design presented at Aero was the vertical take-off and landing e-flyer AutoflightX which, figuratively speaking, plans to elevate transport. North American and European aviators maintain a strong bond. This is evidenced by nearly every vendor at Aero. They are well aware that their market is not limited to one continent. Airplus of Germany, which markets unique products for aircraft performance and customization, is responding to overwhelming demand for installation of ADS-B equipment in the U.S. by providing this capability on business aircraft flown to Europe. A number of exhibitors at Aero 2019 admitted to being travel-worn, having just arrived from a week in Florida at the Sun ‘n Fun Fly-in. Back-to-back shows this year put a strain on personnel. Curiously, though perhaps favorably, the two shows will occur at the same time in 2020 making it imperative that duties be divided, rather than sweeping. Aero Friedrichshafen 2020 will be held April 1–4. 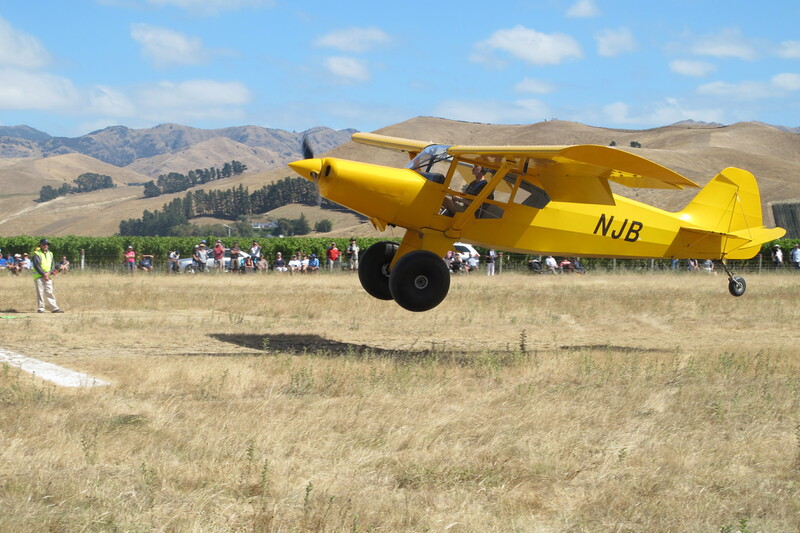 AUSTIN, TEXAS, FEBRUARY 12, 2019 – Bearhawk Aircraft announced today a customer-built, and flown, Bearhawk 4-Place aircraft took top honors in the premier New Zealand STOL competition. Jonathan Battson, in his Bearhawk NJB, outperformed all entrants with a combined score of 229 feet (74.1 meters), landing plus takeoff. Battson’s Bearhawk competed in the Heavy Touring Category (greater than 2,550 lb.) 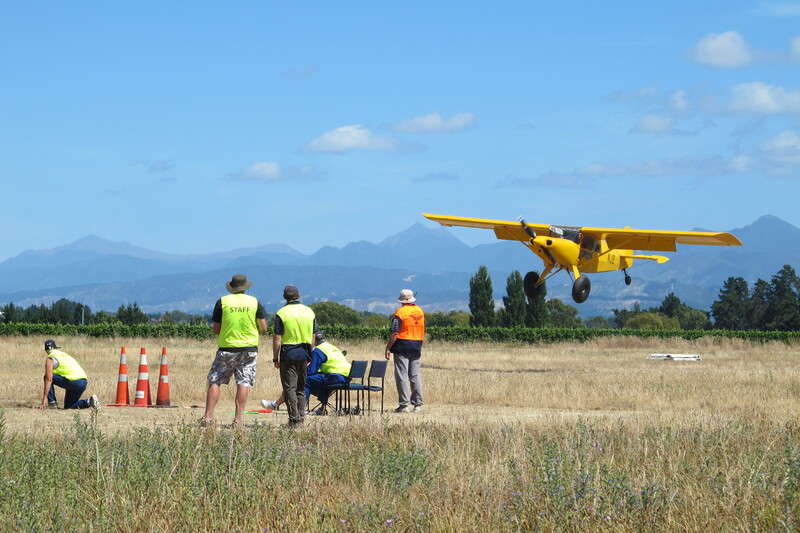 at the 2019 STOL competition. 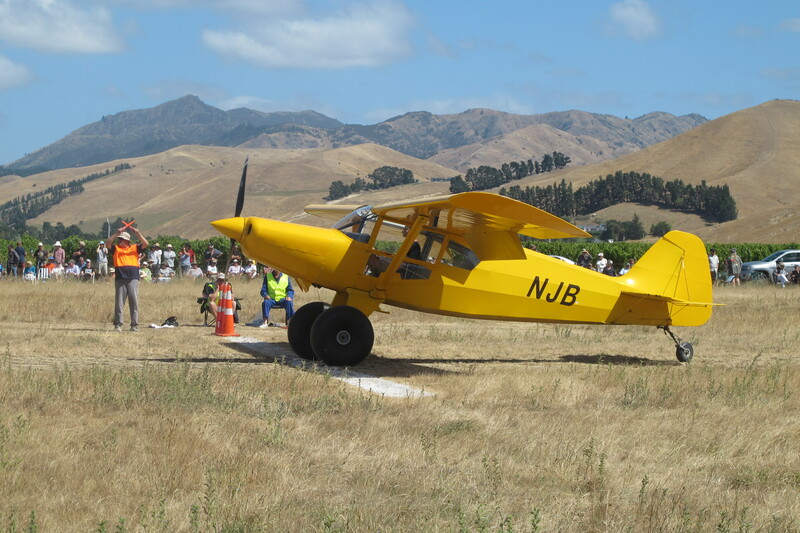 The event’s official title is the “Healthy Bastards Bush Pilot Championships” and is held annually at Omaka Airfield, Blenheim, in New Zealand across the Cook Straight from Wellington. This seventh annual competition, run by the Marlborough Aero Club, was held on Saturday, February 2nd. Battson built his Bearhawk from a quick-build kit in 2013. It is powered by a 260-horsepower Lycoming IO-540 with a Hartzell Trailblazer propeller. The Bearhawk won this year’s competition by about a 43-foot margin. “This is our fourth season at the contest, and we’ve worked hard to get the best out of the pilot and plane,” said Battson. The trophy has been in his field of vision for some time. In 2014, Battson took 3rd place at Omaka. 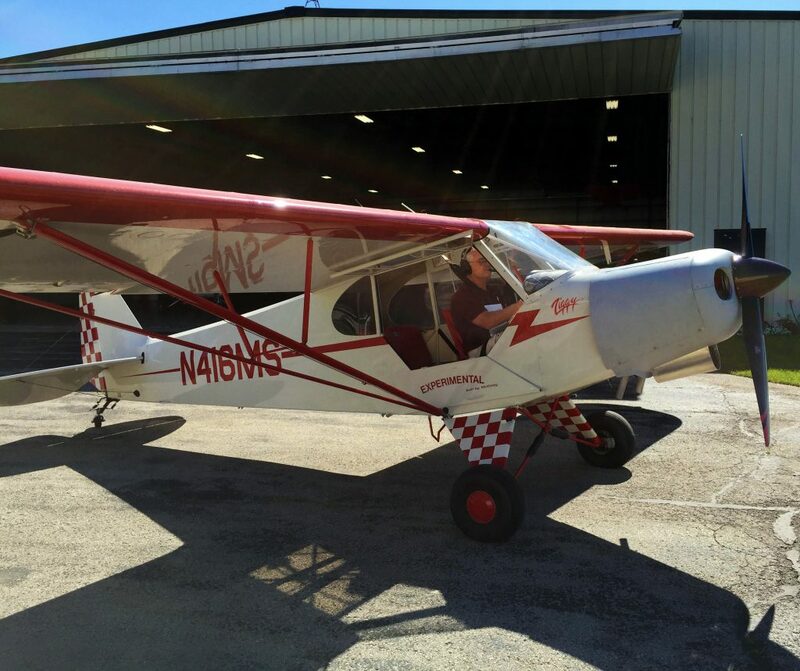 STOL modifications to NJB include 31-inch Alaskan Bushwheels, vortex generators by Stolspeed, and Hoerner wingtips. Worldwide, similar STOL (Short TakeOff and Landing) competitions pit specialized aircraft head-to-head. STOL aircraft are designed uniquely for backcountry flying where landing on unimproved strips, and in often difficult conditions, requires short takeoff and landing capabilities. Pilot skill also plays a major role in operating these aircraft in such environments. Bearhawk Aircraft manufactures high quality quick-build aircraft kits for the Bearhawk 4-Place, and two-place tandem Bearhawk Patrol and Bearhawk LSA. Designed by engineer Bob Barrows, the Bearhawks have in common excellent performance and superb flying characteristics. Bearhawks are known for their short field capability, higher than expected cruise speeds, and very gentle slow speed manners. For utility and recreational use, customers around the world fly Bearhawk aircraft. Rand built the Legend Cub at the company’s facilities in Sulphur Springs, Texas back in 2008 with his daughter McKinley. They took part in the factory’s KwikBild program. 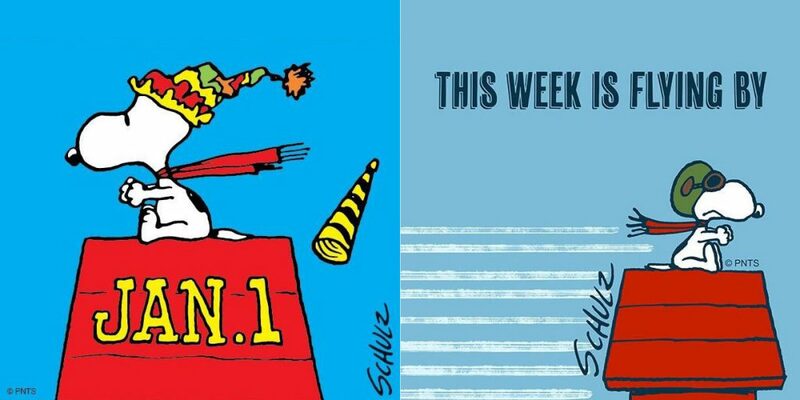 While a gift for “Mickey’s” 16th birthday, Ziggy has been flown by many members of the Siegfried flying family. I was curious of the whereabouts of Ziggy and suggested a new photo shoot with its plumped-up engine cowling. The Titan engine is a derivative of the Lycoming O-360. Its four flat-set cylinders deliver an additional 60 horsepower over the formerly installed, and narrower, 6-cylinder Jabiru block. Mindful that the Siegfrieds had been more than pleased with their amateur-built Legend Cub for many years, the need for speed, in a metaphorical sense, was but one of the reasons a change was necessary. A Cub’s wing will only go so fast, but the excess power of the Titan is stunning on takeoffs and climb to altitude. The gentle nature of the Cub and its balanced flying surfaces provide pleasantly slow approaches and landings. Rand continued in detail on the project, “A complicating factor for me was that the aircraft was located in Oshkosh, I live in California and we needed a new engine prior to Ziggy flying. We dismissed dismantling her and trucking as she has a beautiful Legend paint job and no matter how careful, there always seems to be some damage doing this. My dad, Old Bob, mentioned that they used to pull the prop off of Cubs, attach a tow hook and tow them with another Cub. This sounded like a grand adventure with my family especially as we are all glider rated and have worked as tow pilots. I also found an Oshkosh hangar that was available to work in and, being that I have been involved with the EAA on a volunteer basis for over 20 years, I know a lot of local folks who volunteered to support the effort with tools, etc. Practicality won out and we decided to do the swap in Oshkosh. “First we had to gather the material from Legend and other vendors. The guys at Legend put together most of what we needed for a firewall forward install. At that time, the Titan was a new installation for Legend. They were still improving something with each new install and Ziggy had the Jabiru firewall/boot cowl to complicate the effort. It worked out that I could swing by Sulphur Springs to pick up the ‘kit.’ There, I was able to review and photograph some existing installations and, more importantly, talk to the folks who were developing the installation. This proved to be well worth any additional expense as I am sure that it shaved a bunch of time off the install. As I’ve mentioned, the Siegfrieds are a family of flyers, and adventurers. Their presence at AirVenture Oshkosh is a longstanding annual event and a reunion. In 2018, while attempting to track down Rand for more on the story, he was sailing to Nuku Hiva in the middle of the Pacific with his son. Then, back in the U.S., I caught him trailering to Wyoming for hiking and, later, making multiple flights to Wisconsin in preparation for the Oshkosh family gathering. Rand filled in with more details from a year prior, “Once we got to Oshkosh with the Legend package it was time to strip Ziggy of everything firewall forward. By the end of the day we were bolting on the engine mount. It felt good to be moving forward with the new engine. My brother, Bob, had recently retired and was able to take the time to be up there and help. It would have taken much longer without him. “We spent some time trying the get the engine in just the right place with an engine hoist and, in the end, we were glad it weighs only 250 pounds as we were able to lift it into the final position. Here is where patience really helps as you don’t want to force anything, but at times you have to push pretty hard. I was glad to have Bob helping as he never pushed to get it done, and rushing may have led to tweaking something wrong. Once the engine was in final position, then came positioning and mounting the cowl. “Here is where we get to put the ‘experimental’ into the amateur built category as this engine cowling had never been mated with this firewall and boot cowling. A trip to Harbor Freight (one of many) yielded a multitude of clamps. The carbon-fiber cowl has the nose bowl molded in and is split top and bottom with two large side doors, a la Super Cub. I drilled and mounted the top and bottom half together and started laying it on the engine. It felt good to see it looking like an airplane, but daunting as I had to get it straight to have it look right in the end. I started with the prop shaft and centered the nose bowl on and behind the propeller flange. Clamping temporary bars on to the engine/flange helped to keep the nose bowl in place. “Next came fitting the aft edge to the existing boot cowl, again with clamps and temporary stand-offs. I spent plenty of time measuring closely and then taking several steps back to review how it looked visually and making small adjustments. When I thought it was right, I took a coffee break and bothered some of the EAA mechanics with questions about their projects. When I returned, I did the same process all over again. Once I was satisfied I grabbed my roll of painter’s tape and applied it edge to edge and then cut along the edge of the tape. This proved to be a fast and easy way to get a straight edge where I wanted it. “Next came the mounting. After making up four small brackets, I clamped them onto the cowling and marked where they landed on the firewall. Soon we had the cowling mounted and were ready to position the doors. I clamped them on and used the tape to lay out the first edge where the hinge would go on the top. After making that cut and mounting the hinge, the rest of the trimming went well. The only trick left was to position the quarter-turn fasteners along the bottom. I was able to mount the receptacles where I wanted them, close the door and use a pick to transfer the position to the door. None of this was hard, but I took my time so that it came out looking right. “My brother was busy researching the electrical system differences and, especially, what would be required to support the new Light Speed Engineering electronic ignition. I did pull him away many times to take a look at the cowl fit. There was a good bit of rewiring required to support the change from the Jabiru electrical system to the more conventional system used with the Titan. The installation of the electronic ignition system was well documented, but there were a number of new components to find places for and some choices to be made to minimize any potential single-point failure modes. A few calls to Light Speed quickly addressed the questions that we had. I am very glad that Bob was there to work through this as he was better suited to it than I. “The ignition power and control boxes were all to be mounted in the cockpit area, along with additional circuit breakers, switches and indicator lights. Bob was able to do all that while I continued in the engine compartment without us getting in each other’s way. Between the ignition and engine installs, daily shipments were arriving from McMaster-Carr, Aircraft Spruce and other suppliers. “The engine baffles were the next project I tackled. There were several flat pieces that were blanked out from Legend that I spent some time piecing onto the engine to figure out where they fit. The Legend guys really wanted me to truck Ziggy to their factory as they told me they would have raw pieces, not a kit and no documentation. It was a fun part of the project, kind of like a puzzle made much easier by the photos I took of aircraft at Legend. Soon I had the blanks figured out, and rough dimensions of what aluminum I would need to complete the project. “Luckily I had access to brakes, a shear and even a roller for the cylinder baffles. Once started, the work went surprisingly fast. I was able to squeeze all of the rivets by thinking through the sequence of setting them and having access to a very deep squeezer. What slowed me down were the parts I had to design for the front of the cowl which directed air from the cowl openings into the plenum. This required figuring out how to support the pieces and many trial fits. I had to remove the cowl to get everything in and out, so it was not fast. In the end, I think I got a pretty good fit and the silicon baffle material has laid down well without getting ‘punched through’ by the air pressure in flight. “With the cowl fitted and the baffles in place it seemed like we would be flying in no time. As it turned out, we still had all those little things like fuel lines, control cables, oil cooler, engine monitoring probes, electrical, and ignition to finish. All of this took a good bit of head scratching as everything was different than the Jabiru. 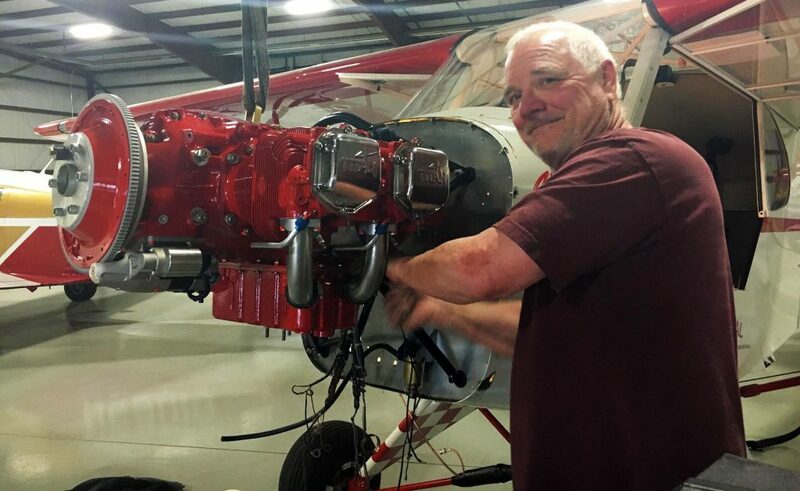 Bob was busy wiring on the new ignition when my other brother, Rick, headed up for some EAA Warbird meetings and had some free time. We put him on the job of mounting the ignition power units in the cabin. “During this time the EAA’s Ford Trimotor crew was doing their training in Oshkosh. Since we had beer, they all came over after meetings and had a look. We were deep into routing the throttle cable which was not obvious (made more so with Jabiru battery placement, etc.). As you might imagine, there were many opinions on how to do this, some emphatic suggestions, and finally the one and only correct conclusion, marked on the firewall with a sharpie. I listened intently, absorbed the knowledge, and in the morning did just what I was going to do before this hops-fueled design session. It was great fun, and all had good ideas and experience to learn from. As it turned out, I ended up rerouting the cable later after seeing a later Legend install at Oshkosh. The ‘turns’ in the cable are now in the engine compartment instead of the cabin which is much cleaner, and something none of us suggested that evening. “The FAA approval was straight forward. I very carefully read my operations specifications and, after the third reading, I realized that a major change required me to submit an updated ops spec to the FAA. With that completed, we were ready to move on. “By plugging away at one system hook-up at a time these many tasks were soon done, and it was time to fire up the engine. We couldn’t believe how quickly she made great airplane sounds with that hot spark from the Light Speed ignition. We had decided not to install a priming system and that has proved to be a good call with this ignition, as she starts immediately. While an engine swap may be one of the most complex of all aircraft upgrade projects, it’s more common than one might think. The classic Cub is commonly recognized by its emphatically harmonious sounding Continental engine. Alternatives were tried, including Franklin, Lycoming and a 3-cylinder radial Lenape. The Legend Cub has traditionally sported a 100-hp Continental and it’s been fitted with 115-hp Lycomings, 120-hp Jabiru, and now the 180-hp Titan engines. Bigger is better seems to be the operative. Rand summarized his delight with the changeover, “Ziggy, with the small, J3-size tail and large engine flies just fine. She is controllable throughout. Although I do feel I’d like a little more nose up control authority, I have flown other aircraft with less. I would like some more up trim and intend to change the incidence of the elevator when she is back in California. “After flying her 30+ hours with some cross country all I can say is that Ziggy is great fun again. I flew from Illinois to Rogers, Arkansas and then on to Alpine, Wyoming. During that trip it seems I was getting at least 10 mph more true airspeed on the same fuel compared to the Jabiru. Having a mixture control sure helps, as does the Cato prop. Next spring I’ll bring her back to California and do the final finish work and paint on the cowl so she is pretty again. “As I think back to the install, I feel it went very well. One thing I might do differently is figure out how to route the mixture control to the left side. Since the Jabiru did not have one, we had to install one. The most straight forward installation was on the right side of the panel. I find myself hitting it with my feet as I swing my legs into the cockpit (60-year-old legs don’t bend the same as they used to). 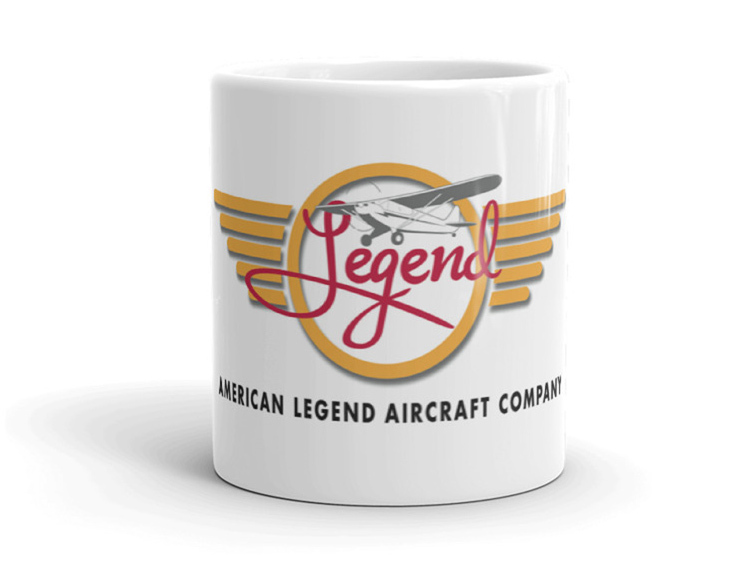 American Legend Aircraft Company official logo items are now available in the VoloFly Collection on Etsy. Customized and volume production is also available, contact Connect Communications at 210.695.6905 or mike.taylor@ctay.net. In building your business, keep in mind the opposing forces of Creation and Construction. While construction is a fixation on the end game, creation is about how you play the game. Success will depend on both. The difference between construction and creation is exactly this: that a thing constructed can only be loved after it is constructed; but a thing created is loved before it exists, as the mother can love the unborn child. Looking back in anger, or forward in fear, you’re sure to miss the awareness around. Try instead, living in the moment. 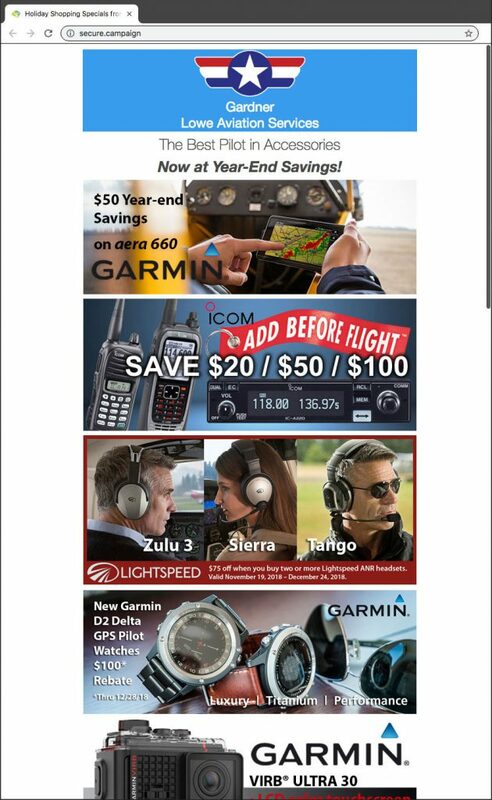 Gardner Lowe Aviation Services – The Best Pilot in Accessories, Now at Year-End Savings!